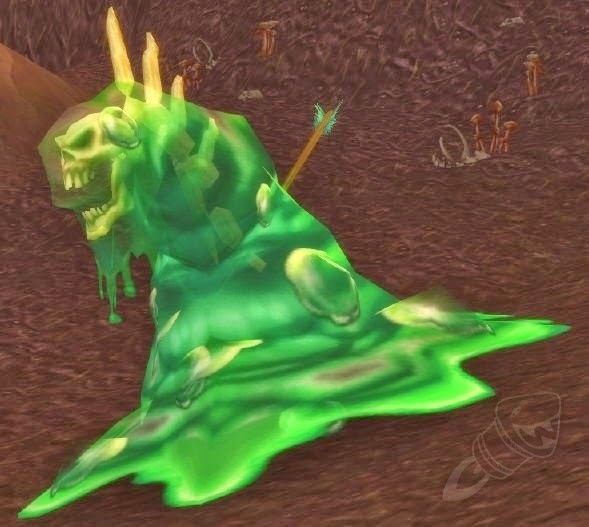 The Disgusting Oozeling is a rare battle pet that turns your character green while you're under the effect of it's buff. It's very good battle pet with a Self heal and some poison abilities. The best place to farm is actually surprising easy to get for a new account. All you do is make a death knight continue through the quests til you get out of the Acherus then make your way to the site where you start the battle of Light's hope. Over in that Area there is a Pit with mobs called Rotting Sludge that have a 10% drop rate of the Oozing Bags and the pets themselves have a 1.5% drop rate from the bags. And even the other mobs at a high drop rate as well which is 9% drop rate of the bag they called "Living Decay"